Just got the Godox TT685SS and X1T-S radio transmitter. It seems to work as expected both mounted on my A7RII and remotely as a slave using the X1T-S transmitter. Haven’t tried it yet to optically trigger my HVL-F43M though or use it as an optical slave. The features offered and build quality of both units is very impressive for the price. I’ve compared these to three excellent 600EX-RT I own for my Canon System. Before this unit one of the biggest weaknesses of the Sony A7x system was the lack of competitive radio controlled flashes. Almost bought the Phottix Mitros+ but never saw the Sony compatible Odin II controller come out. Sure I could have bought and extra flash to use as a controller. A total cost of the Phottix system with two Mitros+ and Odin II is ~ $1000 vs. $290 for the Godox equivalent. Certainly worth giving it a shot. I can use my Canon flashes with the YongNuo YN-E3-RT on the Sony but only get remote power control. Having TTL functionality with the Godox is a nice addition for certain cases and even more importantly is the HSS capability with I didn’t get with the Canon flashes (Not their faults). The other big plus it that I can now buy the X1T-C Canon controller and use the TT685S off camera. If it works I I may just sell two of my 600EX-RTs and get a Godox AD600II TTL. 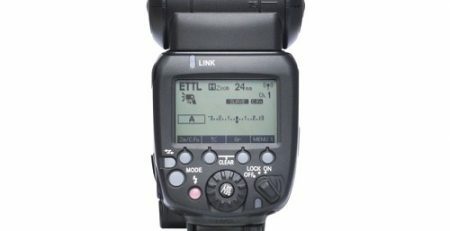 Based on the latest firmware it can be used with both Sony or Canon (or Nikon) controllers. Overall a great addition to the Sony system. The Sony radio system is just an afterthought and too little to late.